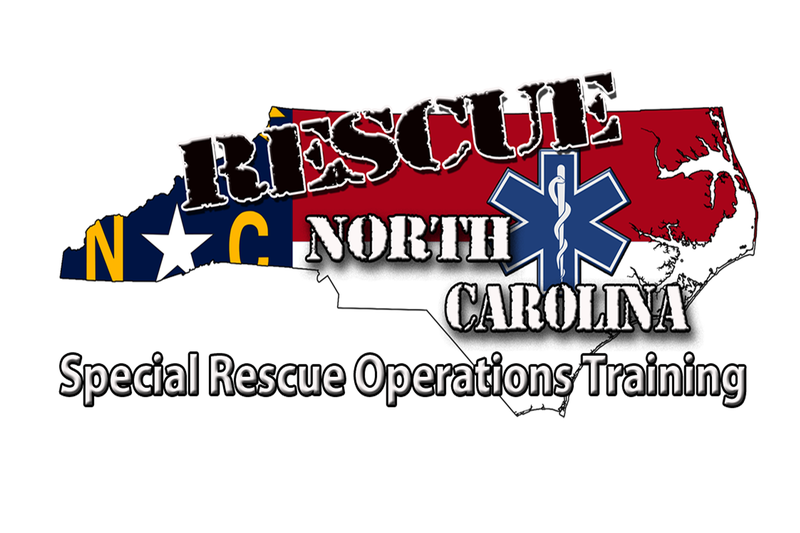 Rescue 3 International Industrial Safety, Rope & Tower Rescue Courses – Rescue North Carolina LLC. The Safe Work at Heights course provides insight into the dangers that workers face when working at height. Often, workers are faced with working at height during their jobs. Employment regulations clearly state that this must be done safely. During this course, students will learn how to properly use a variety of fall arrest resources, such as harnesses, lines, lanyards and industrial fall arresters. The course covers, in detail, how these resources should be used in lifts, ladder trucks, and with a roof set, as used by fire services. Everyone who works at height may be faced with a colleague who has fallen and is hanging helplessly in his fall protection system. 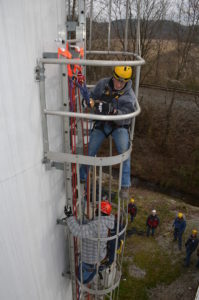 The Co-worker Rescue at Height course teaches participants to deal with that situation. 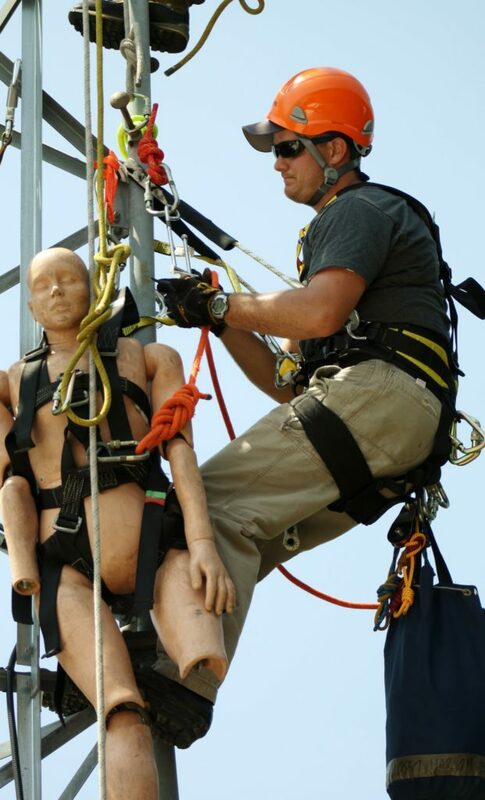 Using simple techniques and industry standard equipment, you will learn how you can free a colleague from a dangerous situation after they have dropped into their fall arrest system. The rapid release of this trapped person must be your highest priority, to prevent further injury. In accordance with the law on working conditions and the consequent duty of care, an employer is required to prepare employees for this possible scenario. Generally, with a few simple tools, this problem can easily be solved. This course integrates the most current technology and research on Rope Access Safety and Rescue from throughout the world, and utilizes “discovery learning” to teach skills necessary to safely effect work in and around towers. 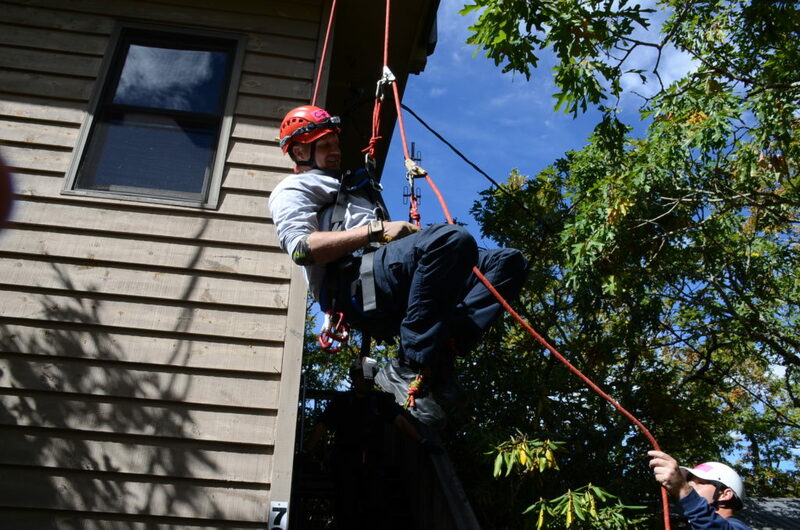 The course covers basic and specialized equipment, ropes and rigging, safety considerations, scene management and organizations, ascending and descending, belaying lowering and raising systems and patient management in a vertical environment. 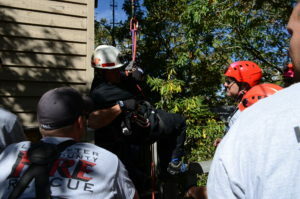 This course integrates the most current technology and research on Industrial Rope Rescue and Safety from throughout the world, and utilizes “discovery learning” to teach skills necessary to safely effect work in and around industry. The course covers basic and specialized equipment, ropes and rigging, safety requirements considerations, scene management and organizations, hazard identification, ropes and rigging, ascending, descending, belaying, lowering and raising systems and litter management in an industrial environment. It is designed to prepare individuals to perform rescues for themselves and their coworkers in an emergency. The program provides training and education on safety requirements for personal fall arrest systems, guidelines for minimum requirements for a managed fall protection program, safety requirements for positioning and travel restraint systems to help prevent falls. This course integrates the most current technology and research on Tower Safety, Climbing, and Rescue from throughout the world, and utilizes “discovery learning” to teach skills necessary to safely effect work in and around towers. The course covers basic and specialized equipment, ropes and rigging, safety considerations, scene management and organizations, ascending and descending, belaying lowering and raising systems and litter management in a tower environment.